Date of 2010 London-Brighton Commercial Run ? : On May 2nd. Another Photo received from Job van Huizen (Holland) asking if the SVVS could help him identify this car. It took part in Circuit des Ardennes Commémoration in 2008. 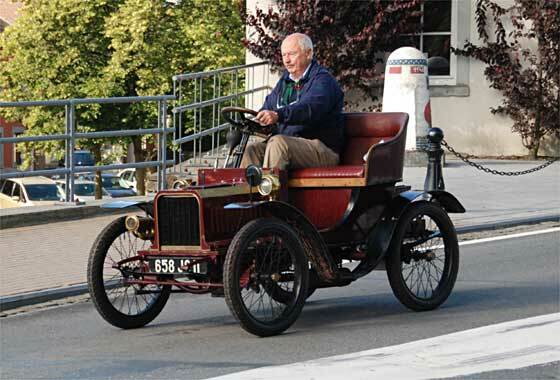 -- Our Tim Harding confirms this is a cca 1904 Minerva 5HP known as the Minervette. Manufactured by Société Anonyme Minerva Motors in Berchem, Antwerp, Belgium. Volume car production began in 1904. Charles Rolls was the UK agent, most important market. A Keiserpreis 8L Minerva won 1907 Ardennes. One of three photos received from Gordon Jamieson (UK) asking if we can identify the cars. They all belonged to his great-grandfather who had a bicycle shop on The Wirral in Cheshire. His first car, bought in 1904, was a curved dash Oldsmobile. These cars came later. By 1911, he described himself on the census return as a cycle and motor agent. 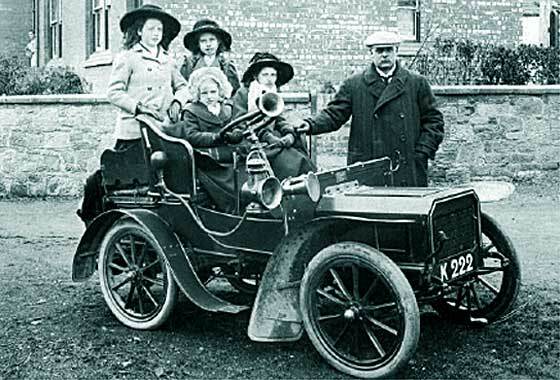 -- Registration K 222 was Liverpool CBC, but dating data lost, and the car is cca 1905 Humber Royal Humberette 6.5 HP Two Seater, Beeston. We are very pleased to announce that we have today hit a very important milestone in our service to the International Web Community by providing our 1,000th identification. This was reached on 19th November 2011. We would like to thank all international contributors who have sent us their enquiries, and we would especially like to thank our team of SVVS experts, our external experts and also the many international experts who have provided identifications in last 10 years. Appropriately fascinating photo, as the 1,000th enquiry, was received from Eileen Stokes (UK). Eileen has no link with the photo except that she knows it was almost certainly taken in Germany. -- The general shape of the radiator suggests De Dion, which it is not, but it does have a very French influence. From the circular shape of the bottom of the radiator core with axle notches in the panel below, this is most certainly a cca 1906 Aries Double Phaeton made in Curbevoie, by Paris, France. Nice period photo received from Alan Griffin (UK) who is assembling a Leamington Scrapbook and intends to use this photograph on the front cover. 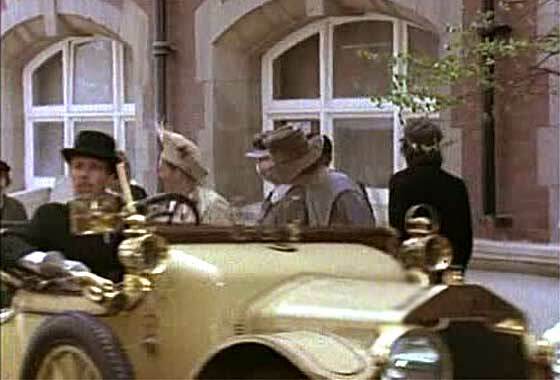 It would be really good to identify the car as he knows who the chauffeur was. He will then visit the County Record Office in Warwick and look up the original taxation details for the owner. -- Registration AC 1712 is indeed Warwick County Council, Spring of 1910. 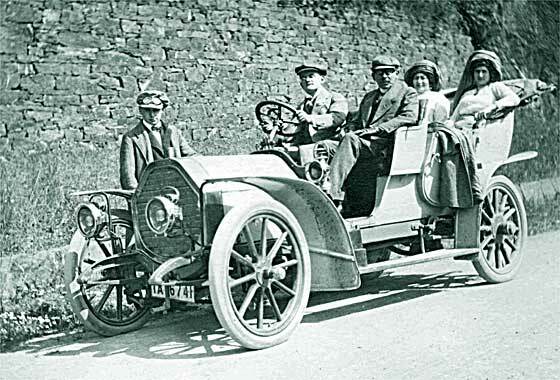 The car is a cca 1910 Humber Landaulette, probably the 16HP, or perhaps the 12HP. Interesting cinema screen grab of a vehicle which appeared in a French mini series "Les dames de la cote" made in 1979, where the vehicles are being investigated by IMCDB. Story of three families whose lives will be disrupted by WW1. 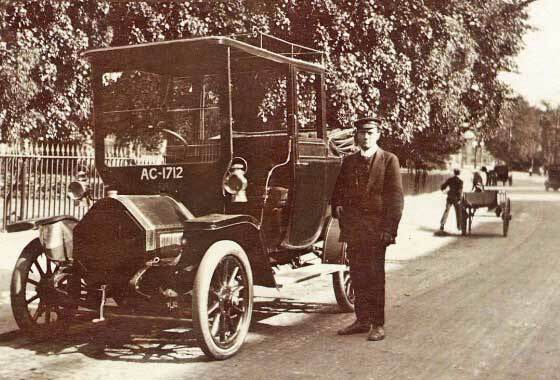 -- The vehicle is a very nice cca 1912 Unic C/P. Unic was a French car made in Puteaux near Paris by Georges Richard after he left Richard-Brasier and became financed by Baron De Rothschild. Unic became famous for their sturdy Taxis, and made trucks to 1980s. 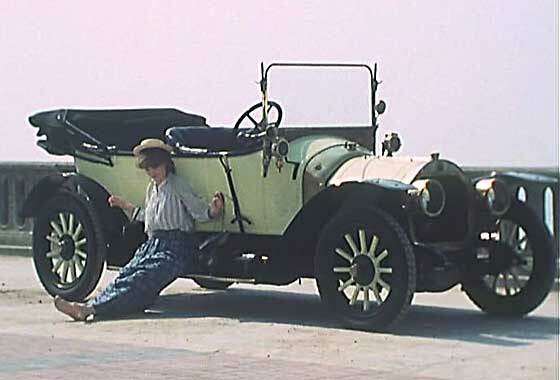 Interesting cinema screen grab of a vehicle which appeared in a British TV mini-series "A woman of substance" made in 1984, where the vehicles are being investigated by IMCDB. Story about a woman rags to riches rise and attempts of kids to remove her from her business. -- The car is a rather nice cca 1913 Rover Twelve Tourer designed by the famous Owen Clegg who came from Wolseley in 1910 and developed the 2.2L L-head monobloc four, worm final drive, and electric lighting. Interesting hand coloured postcard received from Tom Cosens (UK) asking if we can identify the car, possibly German. Postcards are German but he has no other background. 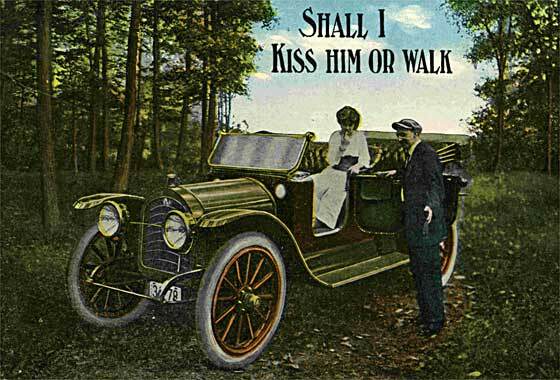 -- The car shown on this postcard is not German but American. It is a cca 1913 Rambler Cross Country Touring built in Kenosha, Wisconsin by a company founded by Thomas B Jeffery, earlier the second biggest maker of bicycles in USA. On his death that year, the son renamed the car and company 'Jeffery'. Another fascinating photo received from Aad Streng (Holland) which he has found of taxis near the railway station in Apeldoorn in the Netherlands. At least one of them was owned by his grandfather, namely the one with numberplate M-26576. It is possible others were also owned by the family. He had no idea on the brands of the vehicles lined up. 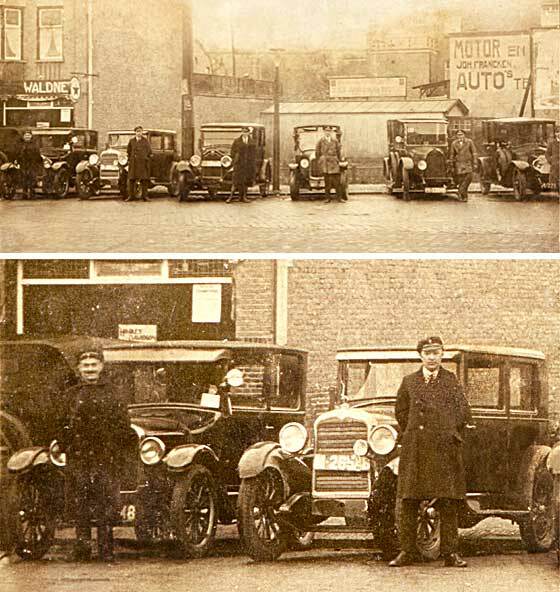 -- We have split the lie-up into three separate photos to give better detail (L to R) : 1914 Protos Taxi and 1914 Renault Limousine. Yet another lovely photo received from Cicos Florin in Constanta by the Black Sea (Romania) who is interested in old cars of Romania and Constanta. -- This is a panoramic view of a medal ceremony at an aerodrome. The planes are of the 1919 military 'pusher' type, with propellers behind the guns. The front car is cca 1919 Mercedes Knight 16'45 Tulip Bodied Tourenwagen. These used Knight sleeve valve engines patented in England 1908, and used by Daimler, and 30 others. One of three photos received from Gordon Jamieson (UK) asking if we can identify the cars. They all belonged to his great-grandfather who had a bicycle shop on The Wirral in Cheshire. His first car was a curved dash Oldsmobile. By 1911, on the census return he was a cycle and motor agent. 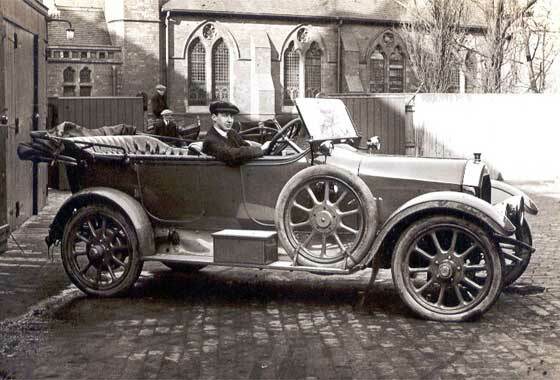 -- Three of our experts recon this is a cca 1920 Humber Tourer. I have some reservations because this is a very unusual body for a Humber, unusual mudguards, and only two louvres in the bonnet. Interesting cinema screen grab of a vehicle which appeared in a Spanish film "Inconscientes" (Unconscious) made in 2004, where the vehicles are being investigated by IMCDB. Period comedy about a Freudian psychiatrist who ran away from home. -- The car is very unusual and only few were made. Spanish film with other Spanish cars, this one with double transverse springs, no front brakes, two seater, and largish logo left top of rad, all says Spanish 1922 Salvador Cyclecar. Nice period photo received from Sid Breeden, Perth (Australia) taken outside his grandparents shop in Busselton (on Geographe Bay near Cape Naturaliste). He thinks his mother and sisters are passengers. 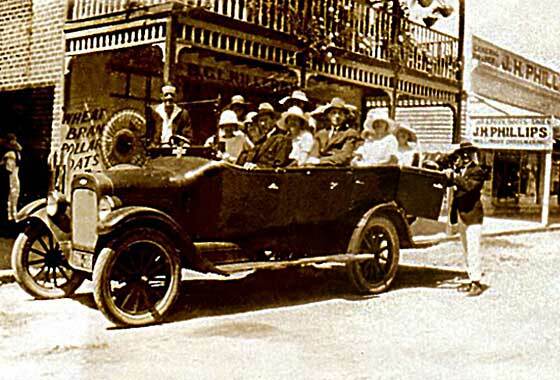 -- The The photo is a bit fuzzy but we are relatively sure it is a cca 1923 Chevrolet Charabanc. The badge on the rad seems to be repeated just below the windscreen. Seems a bit long for a car so may well be 1 ton truck chassis. The bodywork is very smart indeed, - and probably local. Another fascinating photo received from Aad Streng (Holland) which he has found of taxis near the railway station in Apeldoorn in the Netherlands. At least one of them was owned by his grandfather, namely the one with numberplate M-26576. It is possible others were also owned by the family. He had no idea on the brands of the vehicles lined up. -- We have split the lie-up into three photos to give better detail (L-R):1924 Buick Touring Phaeton & 1924 Citroen B2 Landaulette. 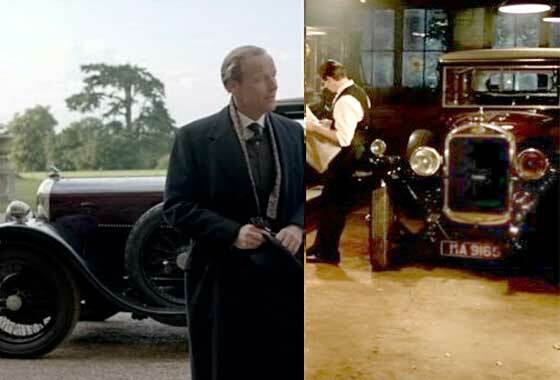 Interesting point raised by Mark Dawber (New Zealand) about the maroon saloon car used in the recent TV Series Downton Abbey. 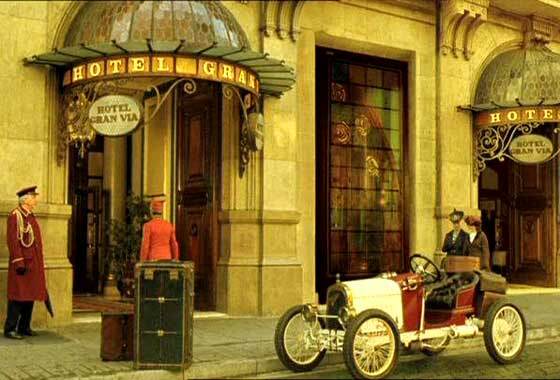 The series was set just at the end of WW1 yet the car and the registration was mid 1920s. This would seem to be an error ? -- Yes! 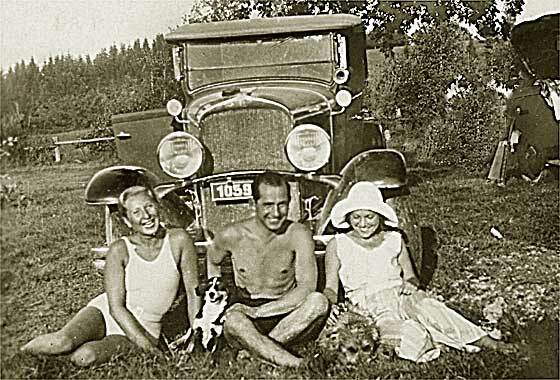 The car is a 1925 Sunbeam 20/60 Saloon which carries a period registration that was not original to the car. Car carries a monogram on the bulkhead, as does the original. The 20/60 Sunbeam was made 1924 - 27, and 3181cc. Yet another lovely photo received from Cicos Florin in Constanta by the Black Sea (Romania) who is interested in old cars of Romania and Constanta. -- This one shows a car in front of a rather magnificent Constanta Municipal Casino. Our NZ expert Mark Dawber confirms from the waistline this is a cca 1926 Pontiac Two Door Coach built by General Motors. Introduced as a make in that year, it was named after an Odawa Indian Chief (1720-1769) who fought the British at Fort Detroit. Another fascinating photo received from Aad Streng (Holland) which he has found of taxis near the railway station in Apeldoorn in the Netherlands. At least one of them was owned by his grandfather, namely the one with numberplate M-26576. It is possible others were also owned by the family. He had no idea on the brands of the vehicles lined up. -- We have split the lie-up into three separate photos to give better detail (L to R) : 1927 Ford Model T Tudor and 1927 Essex Sedan. Gorgeous photo received from Ingrid Figueroa (USA) taken in Guatemala around 1942. Her husband, shown with his family, was born in 1938 and looks to be around four years old. They believe the car was from the early 1930s. -- Really impressive phaeton built in St Louis, Missouri by Russell Gardner " beautifully and strikingly styled". Initially building buggies, then assembling and selling Chevrolets before making own car. Thanks to AACA, this is a cca 1929 Gardner Phaeton, poss 125. Yet another lovely photo received from Cicos Florin in Constanta by the Black Sea (Romania) who is interested in old cars of Romania and Constanta. -- This one shows the continuing love that humans have for dogs, and that Romanians love them too, two dogs in the picture! Also shows the love Romanians, like the rest of us, had for swimming. 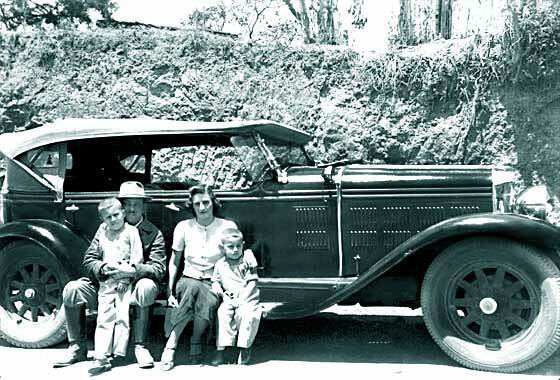 The car, with help from Mark Dawber, is a cca 1929 DeSoto K Series, probably a Roadster or Phaeton. Car made by the Chrysler Corporation. 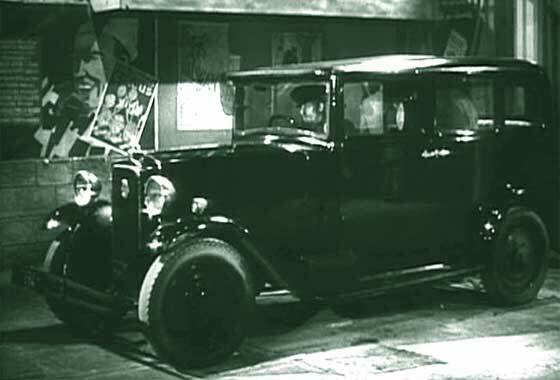 Interesting cinema screen grab of a vehicle which appeared in a British-American film "The Saint's Vacation" made in 1941, where the vehicles are being investigated by IMCDB. Simon Templar, roving crimefighter who walks the fine edge of the law, does his things against Nazis in WW2. -- The car is relatively unusual. Right hand drive, British style sidelights, Sphynx on the top of radiator, higher main lights, adjacent door handles, pre-vee-rad; all say cca 1929 Armstrong Siddeley 15. 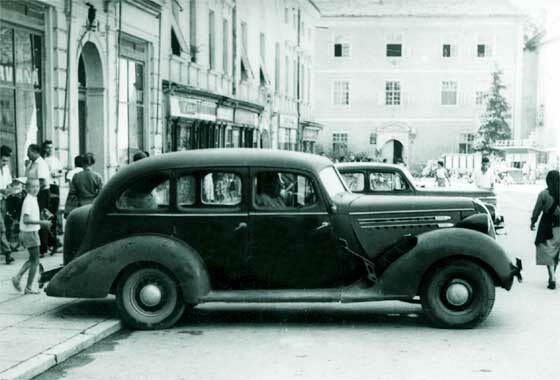 One of a number of photos received from Vlado (Croatia) via The Society of Automotive Historians in Britain asking if we can identify the cars. -- From numberplates photo probably not taken in the former Yugoslavia but does seem to have a very interesting mix of cars. 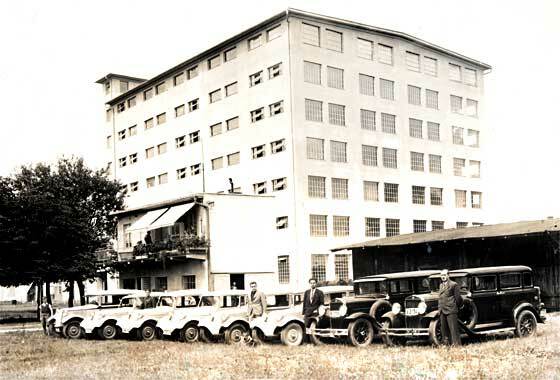 The first six white cars on the left are all Tatras from Czechoslovakia and the two black cars are American Essex; specifically 1930 Tatra 30, mix of 1936 Tatra 79s and 1932 Tatra 57s, and right, 1931 Essex Super Six. Couple of photos received from Peter Lanigan (UK) who is trying to date them. Believes the car was then fairly new. -- Registration is unclear and is suggesting late twenties, so not much help. The 'Six' indicates that it had a 6 cylinder engine rather than four. This is a cca 1932 Austin Light 12/6 Saloon. These were made 1931 - 34 and were available in two versions; 13.9 and 15.9 HP. 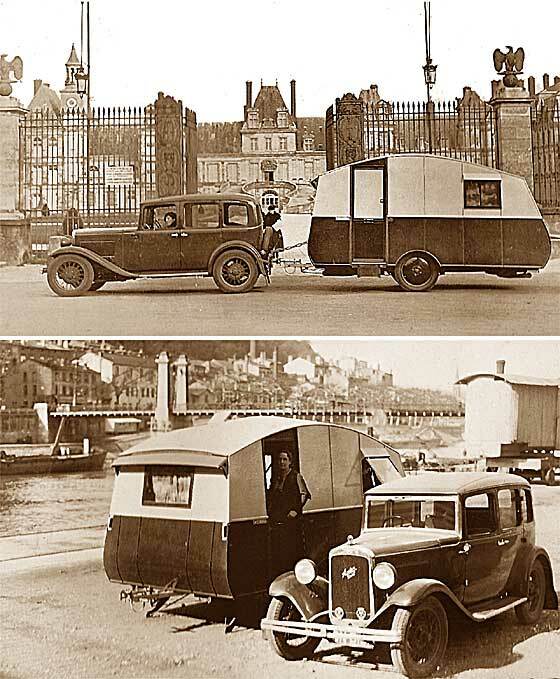 The caravan is very much of the advanced early 1930s style and is possibly a Winchester. Interesting locations. 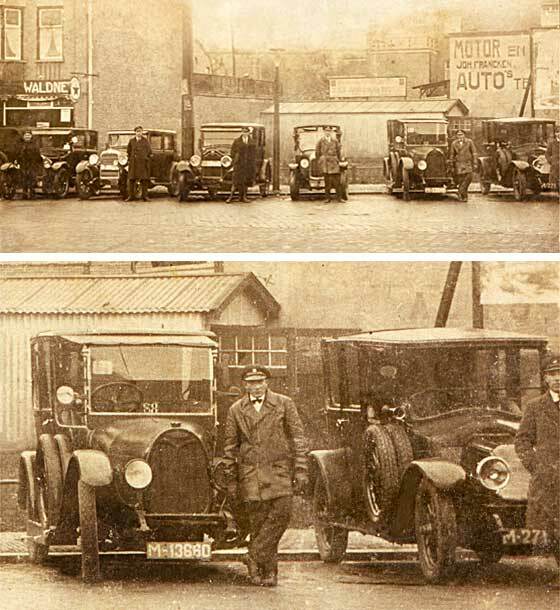 One of a number of photos received from Vlado (Croatia) via The Society of Automotive Historians in Britain asking if we can identify the cars. -- From news kiosk in the background it is possible to determine that this photo was taken in the former Yugoslavia, probably Croatia. The car in front of a coffee house originates from Detroit, Michigan, USA, being a cca 1936 Hudson 64 Touring Sedan. In 1937 the front door hinged at front rather than rear. Small chrome wheelhubs suggest 'Six'. Slightly grainy photo received from Goran Persson (Sweden) taken in the wilds of Northern Sweden in 1948. He is the baby and would like to know what the car was. -- The photo is a bit fuzzy but the car is a Renault. This was a period when many European cars had the American airflow look. Renault followed the trend and had three body shapes including the Prima. and Nova. which are quite similar. 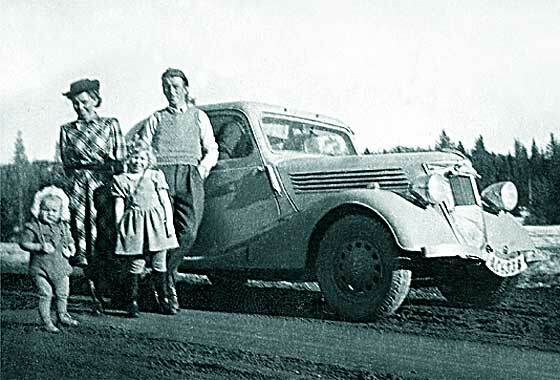 Allowing for the fuzzy photo, we think this is a cca 1937/38 Renault Celtaquatre Saloon. Photo received from Pricilla Burcher (Colombia) asking if we recognize the car and model of the photo. Dating from 1936 to 1942. Her father is the guy who is outside the car (he was a British citizen). The photo was taken in Medellín, Colombia. 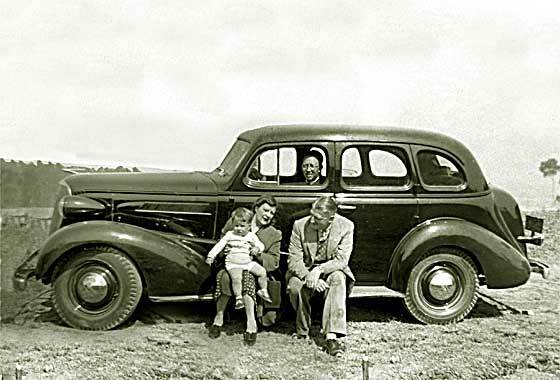 -- We can confirm, with the help of AACA, that this is a cca 1937 Chevrolet Master Sedan. New styling for this year with a streamline groove carries from the wings onto the doors, and grille swept in on each side. Simpler trim suggests the GB 4 Door Sedan. 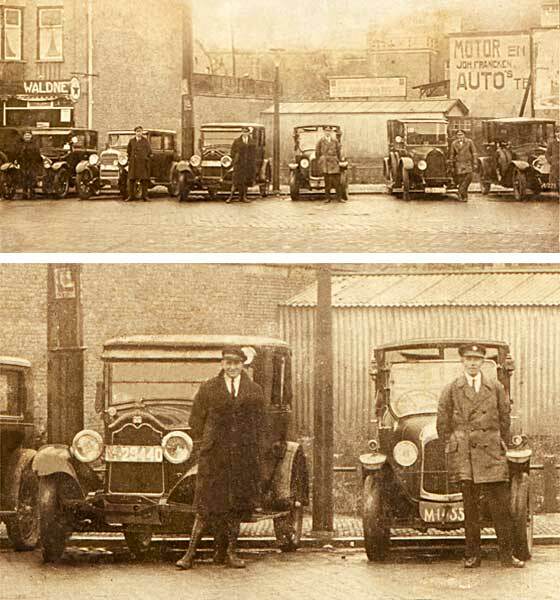 One of a number of photos received from Vlado (Croatia) via The Society of Automotive Historians in Britain asking if we can identify the cars. -- The shops in the background suggest former Yugoslavia, probably Croatia. 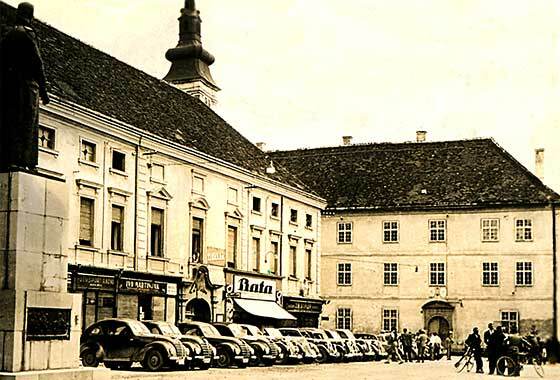 The photo is low resolution so the group of cars on the left was initially thought to be E. German IFAs, but the roof rib and the absence of a quater-light window defines that they are W. German cca 1939 Hanomag Type 13 1.3L Saloons. Only some 9,187 manufactured.